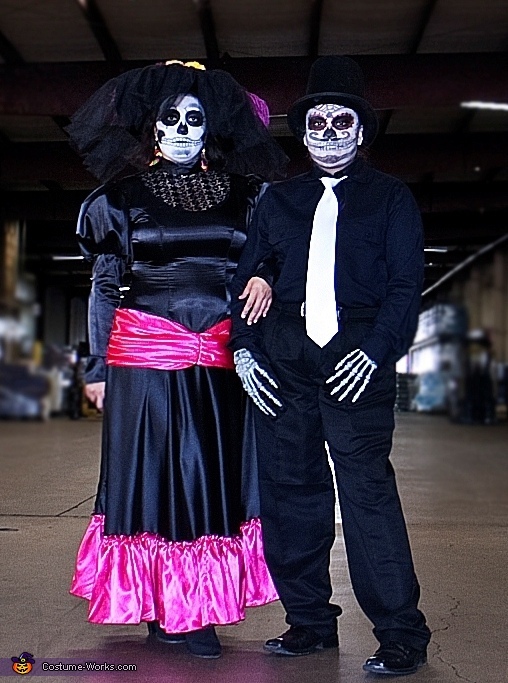 Inspired by the Mexican tradition Dia De Muertos. Me (Man) and my Friend Blanca(women). Both of us girls. I like this costume.. Very original and the make up is great! This a very creative costume being bothe are girls... maybe that is why. very creative, they both play along well, very cute couple. Just awesome. Very creative and love the makeup!